One on-snow practical exercise per day: snow pit analysis, avalanche rescue, first aid, etc. Whatever the snow conditions, we will seek out the best skiing possible! The Workshop is all about fun and learning. Creating an intimidating environment or getting people to ski things they don't feel comfortable with works against those goals. If somebody has a bad feeling, we'll back off. Proper group travel in the mountains is a collaborative effort, where all voices are heard. Accommodations for the week are in the village center of Schruns, the heart of the Montafon valley. The bus and train station can be accessed on foot within minutes and there are able dining and nightlife opportunities. 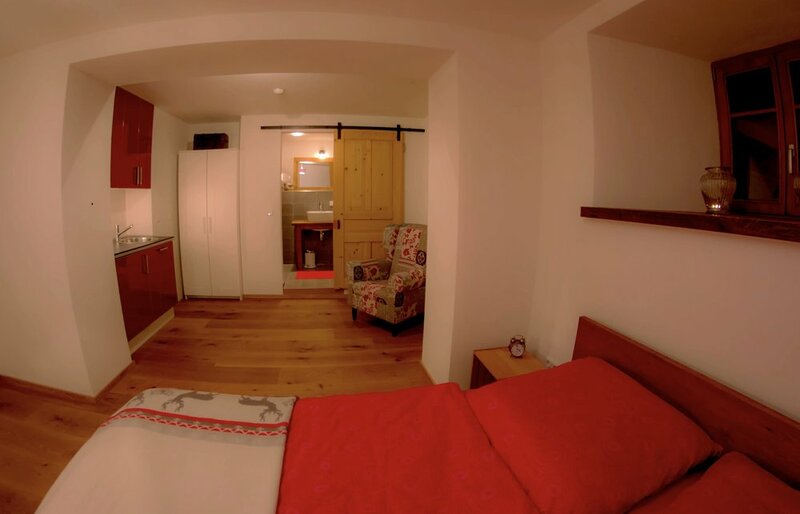 The apartment is designed to accommodate 6 people and has 3 rooms with double beds, each one with it's own toilet, shower, towel warmer and hairdryer. One of the rooms has an additional bathtub. The kitchen is equipped with the following items: 3 burner induction cooker, oven, dishwasher, fridge and freezer, Nespresso coffee machine, normal coffee machine , raclette, fondue and a boiler. The more you know before you show up, the more you will get out of the course. The book, Staying Alive in Avalanche Terrain, is a very practical guide to avalanche safety, with just enough theory and loads of practical information. Read it. This will be 6 days of skiing in a row, your enjoyment will be somewhat connected to fitness level. 3-4 days of sport a week are recommended a month leading up to the trip. This isn't a gung-ho, bootcamp style trip, we will have the most fun that fits within the groups' fitness. Just making a point that being in better shape makes skiing more fun.